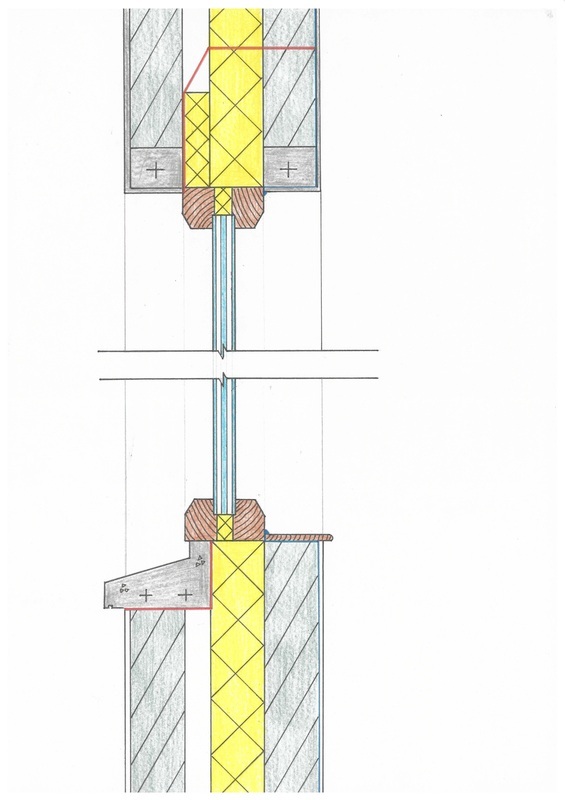 This detail shows the opening in the external wall in which a window is fitted. 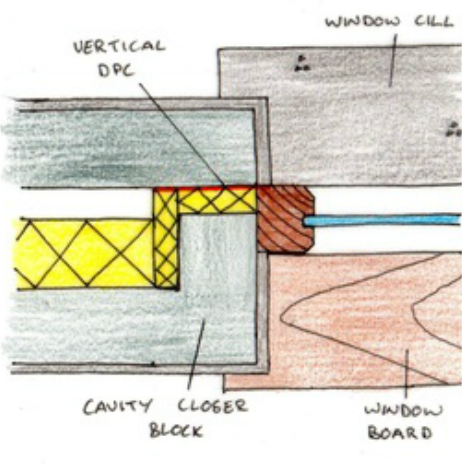 This provides issues such as the load exerted from above the window and the sealing of the cavity around opes in order to prevent heat loss or cold bridging. 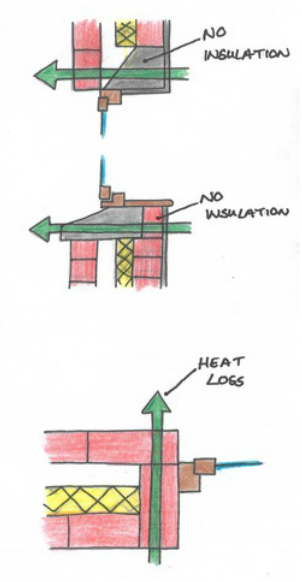 Completely closing the cavity at opes can lead to cold bridging and dampness. To prevent this, the window head and cill must show correct installation of insulation and damp proof courses. The horizontal section of the window jamb must also incorporate correct insulation and damp proof courses to prevent cold bridging. Reinforced concrete lintels are used in cavity block walls in order to transfer the loads from above to the walls on either side of the window. 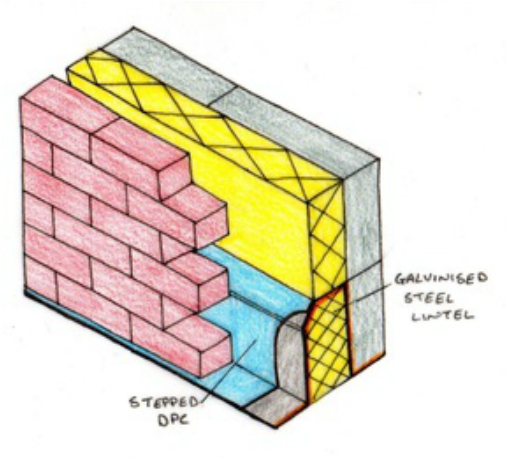 In a cavity wall where brick work is used on the exterior, a galvanised steel lintel is used. These steel lintels prevent moisture travelling across the cavity, while they are also pre-insulated to prevent any thermal loss. This video shows the most effective approach for drafting the window cill and head detail.